More about Iittala Taika White/Blue 16" Platter Add elements of beauty and functionality to your next meal with the stunning iittala Taika White/Blue 16" Platter. 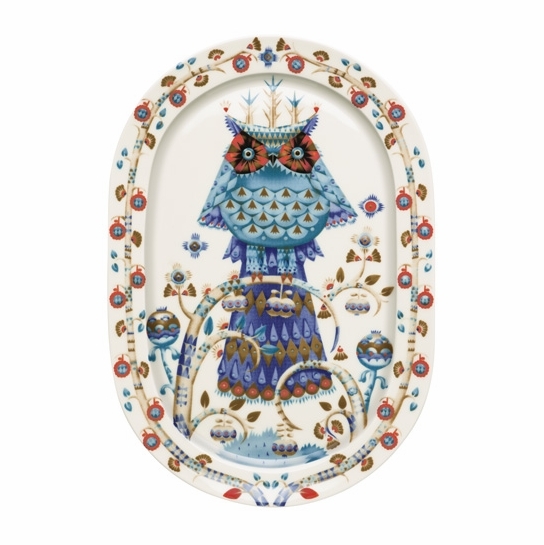 This latest addition to the Taika collection features a large-scale owl that takes center stage and a whimsical border of vines and blossoms. The sizeable platter is ideal for serving meals of all sizes yet light enough to pass around the table with ease. 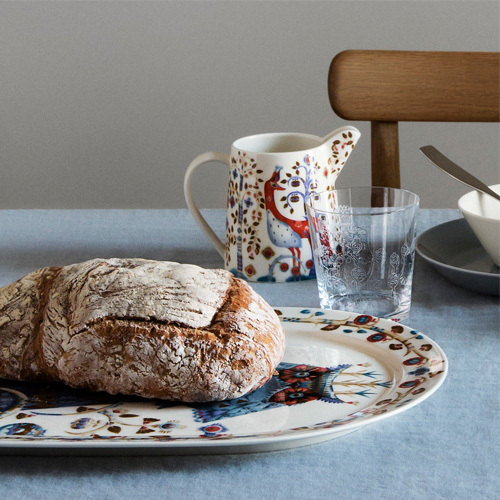 Mix and match with other iittala dinnerware collections or add it to your existing Taika set to create a charming tablescape. 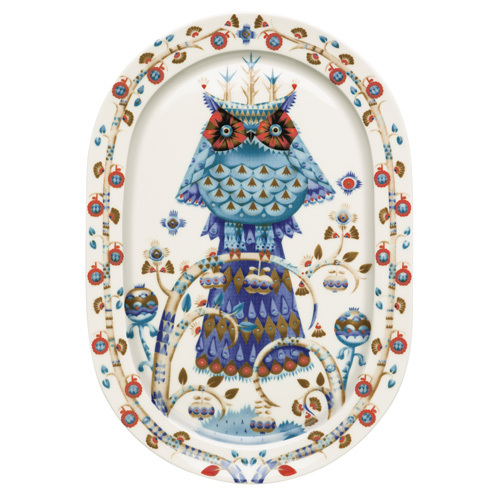 As I admired this platter, I noticed that the owl is not centered exactly on the platter. I thought the platter may be a factory second and phoned Finstyle to ask. The Customer Service rep checked another one or two platters in their stock and said they both were a bit off center. This is not especially noticeable except that the owl has 3 vertical lines emanating from its head and the middle line does not line up with the apparently centered flower design above it. A minor item but one not expected on an item of this quality and price. If the "would you recommend this to a friend" field below would allow me to, I'd say I'd recommend the platter but would be certain the friend knew about the off-center issue.